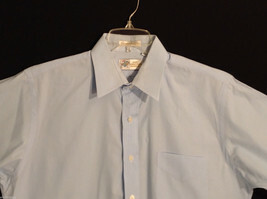 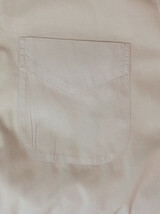 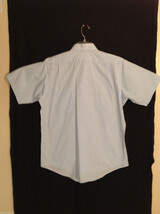 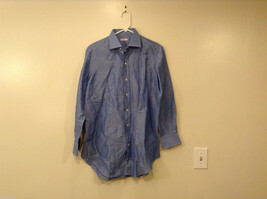 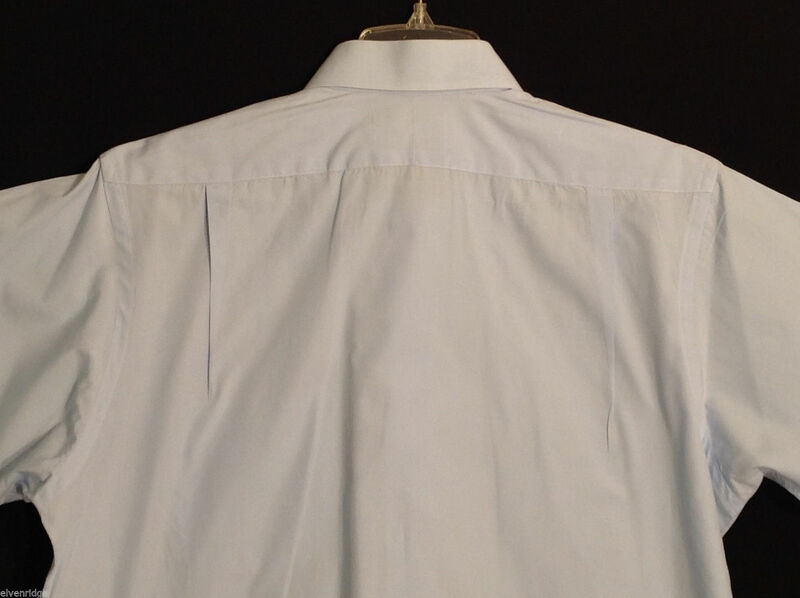 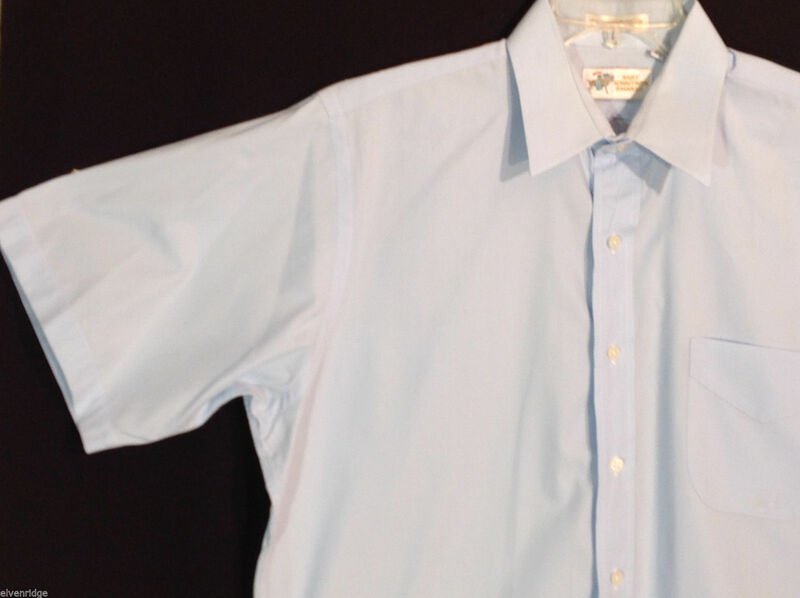 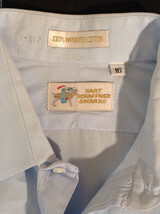 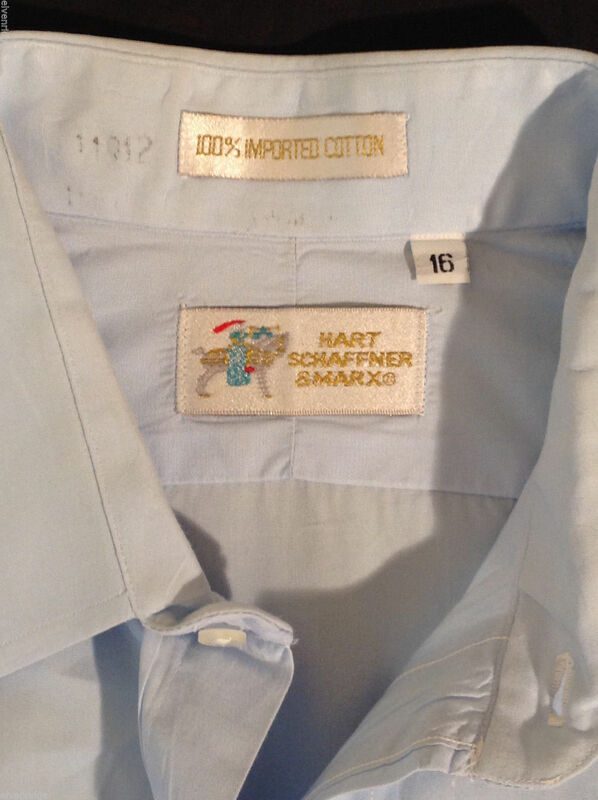 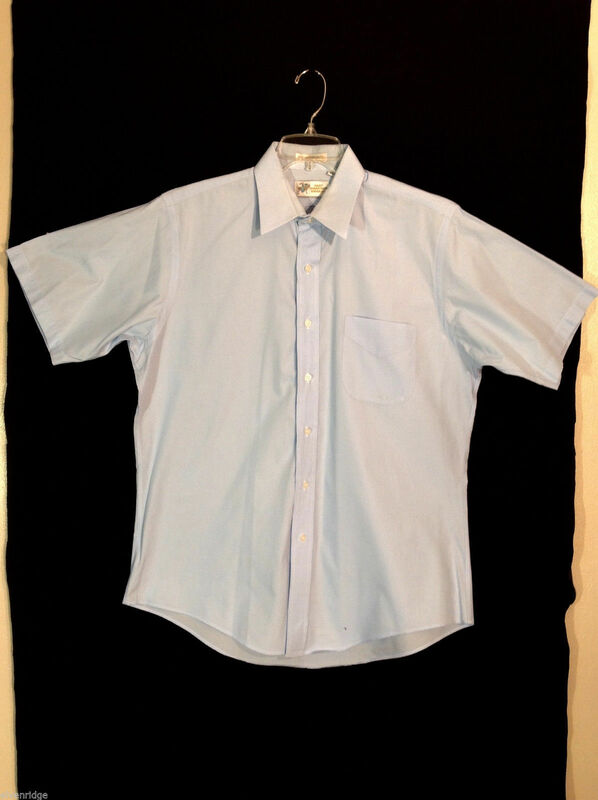 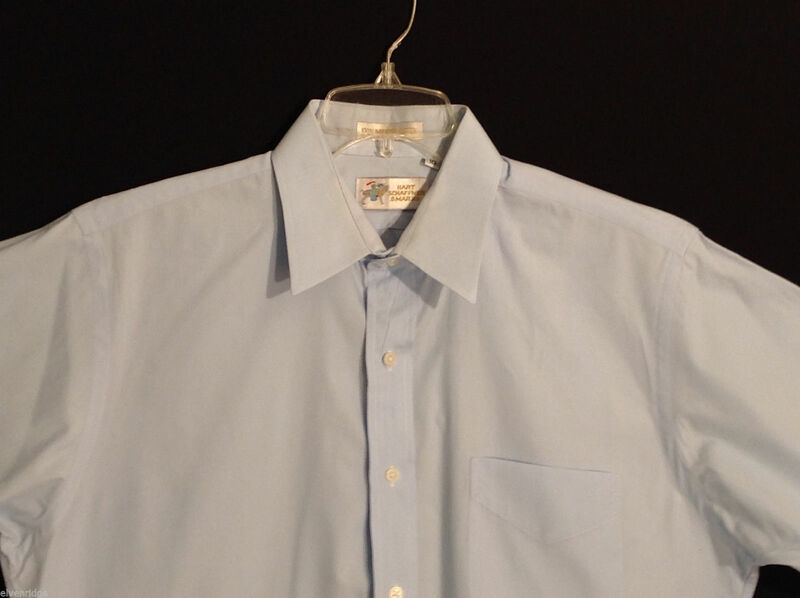 This is a men's light blue button-down shirt by Hart Schaffner & Marx. 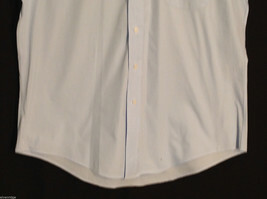 Note the imprint on the neck (see pictures). Please check the following measurements to ensure a correct fit. 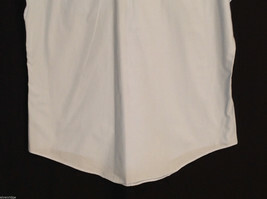 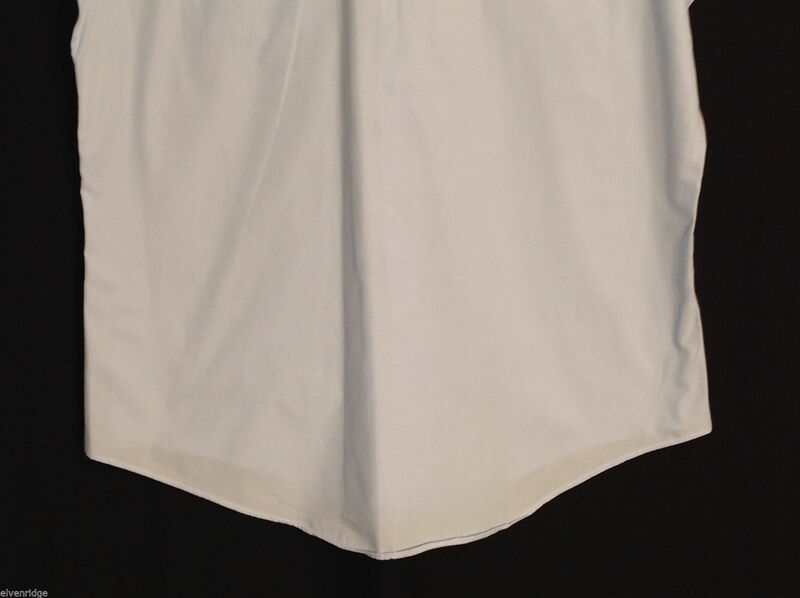 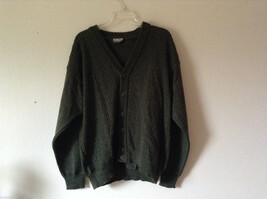 Sleeves (seam to end): 10 3/4"
Chest (underarm to underarm): 24 1/2"
Length (shoulder to bottom): 27"